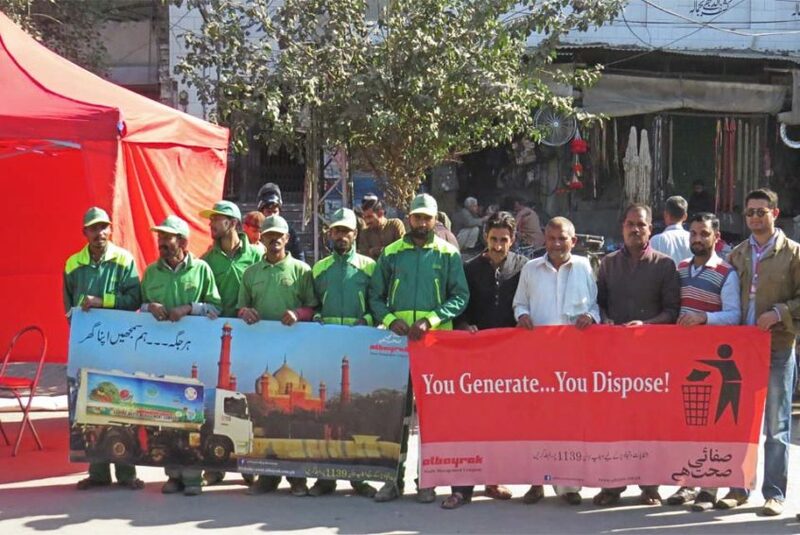 Lahore: To ensure state-of-the-art cleanliness in union councils of Data Ganj Bakhsh Zone, Albayrak Waste Management has started special cleanliness awareness campaign under ‘Clean & Green Punjab’ campaign. One-day drive was arranged at Kotwali Chowk, Circular Road on Friday to sensitize the public about proper waste management and the role the citizens can play in keeping the metropolis clean and green. Prior to the activity, lime and rose water were sprinkled in the area following the special cleanliness operation. Albayrak team established a camp on the road, showcasing awareness literature. The team requested the residents, shopkeepers and pedestrians to understand their responsibility and to dispose of their waste in the bins or containers. An awareness walk was also arranged in which sanitary staff, Albayrak officials and local residents participated.